This beautiful little sweetheart has an unassuming and kind demeanor that will positively melt your heart. She is eager to please and loves attention, praise and interaction. She has no vices and is easy to handle and work around. She is still enjoying some rest and relaxation with her friends before entering retraining but with her easy going nature and athletic build, will likely excel in any discipline of her adopter’s choosing. 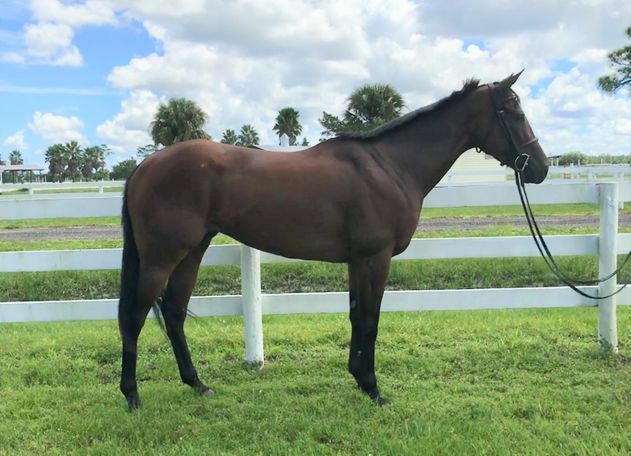 2019/2020 RRP Thoroughbred Makeover Eligible.